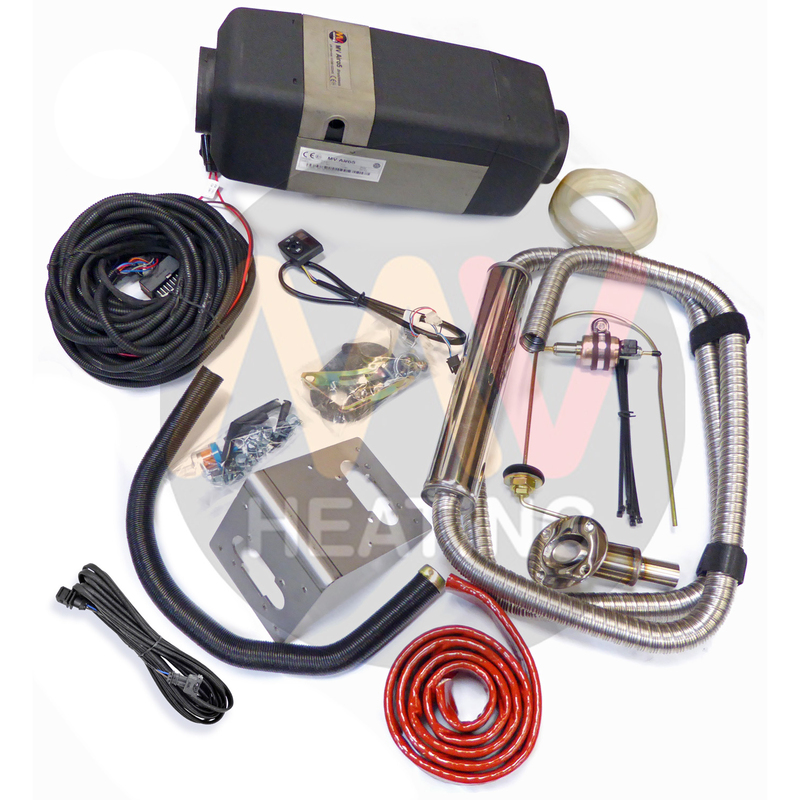 This is the standard AIRO 5 MARINE kit. 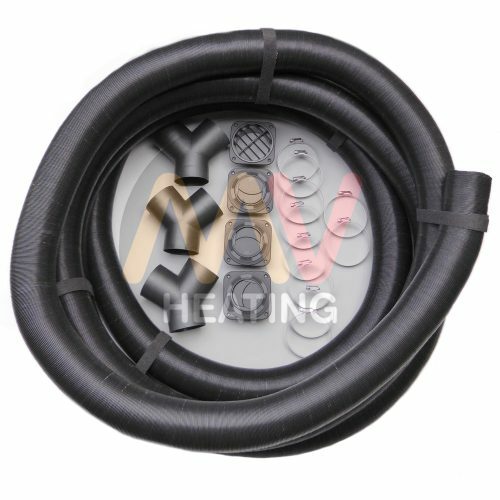 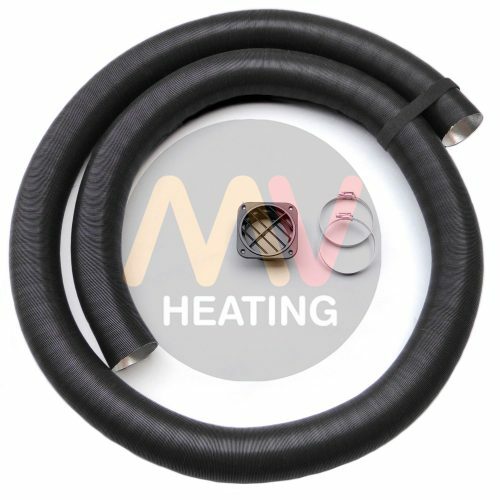 To add ducting and outlets to it, kits are available on the previous page. Simply add these to your order to upgrade your kit. 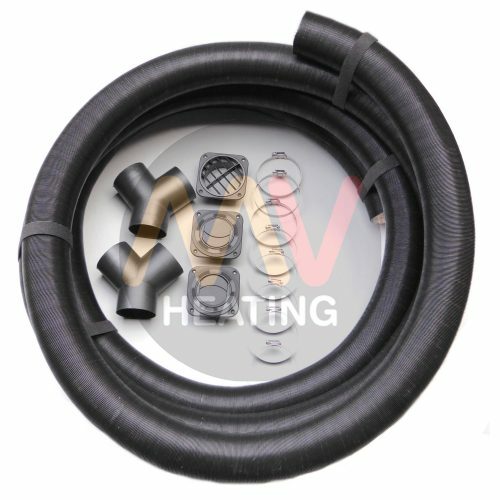 Note: Any ducting added to your kit will come as one long length. 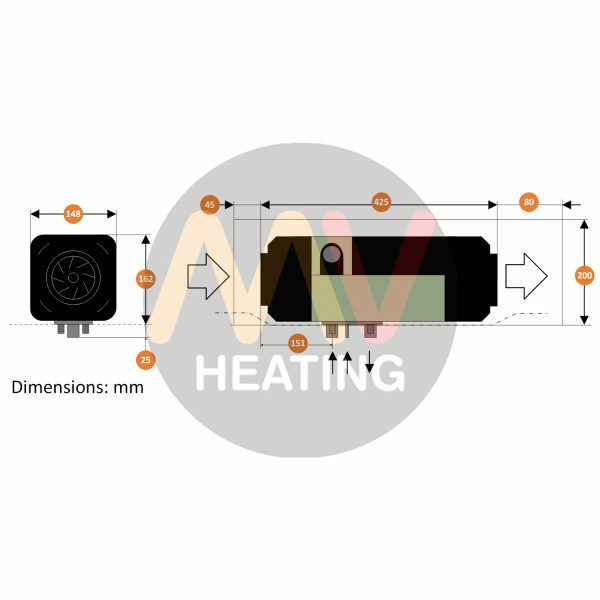 The MV Airo 5 is a powerful but efficient heater with a variable output from 1.5kw up to 5kw. 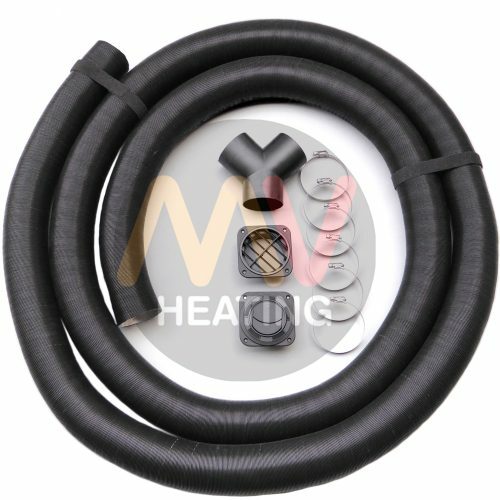 The design means that it can be run at between 3 – 4kw output with very low current consumption and noise levels. 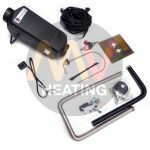 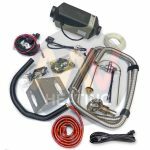 We do of course supply it with a very comprehensive installation kit which includes exhaust silencer with silicone coated lagging for very low exhaust temperatures within the boat. Remote control, telephone control or timers are available as simple plug in extras.